B2B Website Audit Checklist | Is Your Website Helping or Hurting? Check out these two helpful resources. 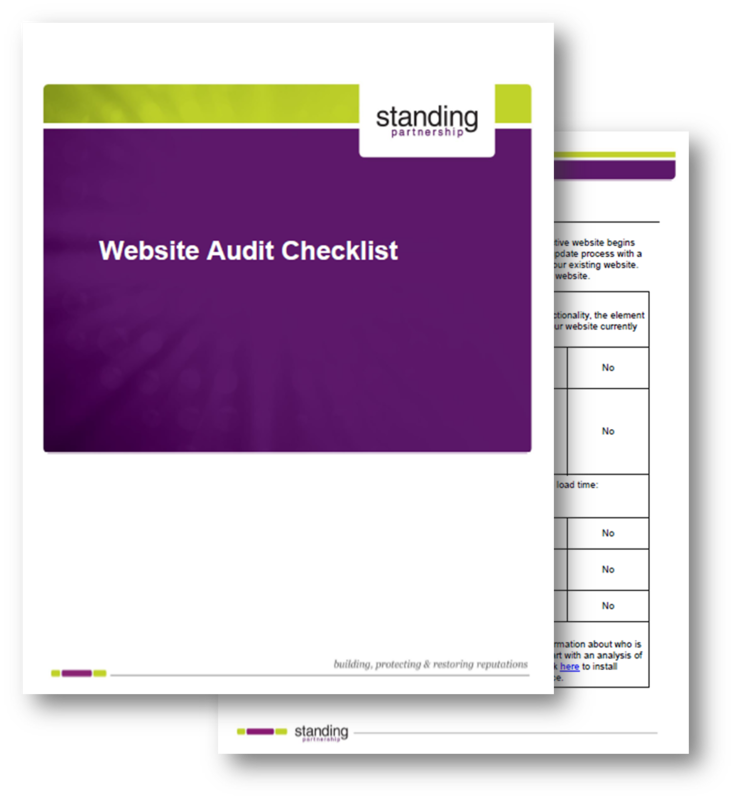 Use the checklist below as your guide as you evaluate your website. You can also download the file (no email address required) by clicking here. If you're reading this, you may already be wondering if your company needs a new website. Maybe you're not quite sure. Fill out the form on this page and we'll send you our latest e-book: 6 Signs You Need a New Website. You'll learn the red flags that our experts look for when we evaluate websites. "Standing Partnership's digital team was invaluable to our website relaunch process. They audited our current website, led a strategy session with our company's leadership, and then worked to deliver a site that works for our business."